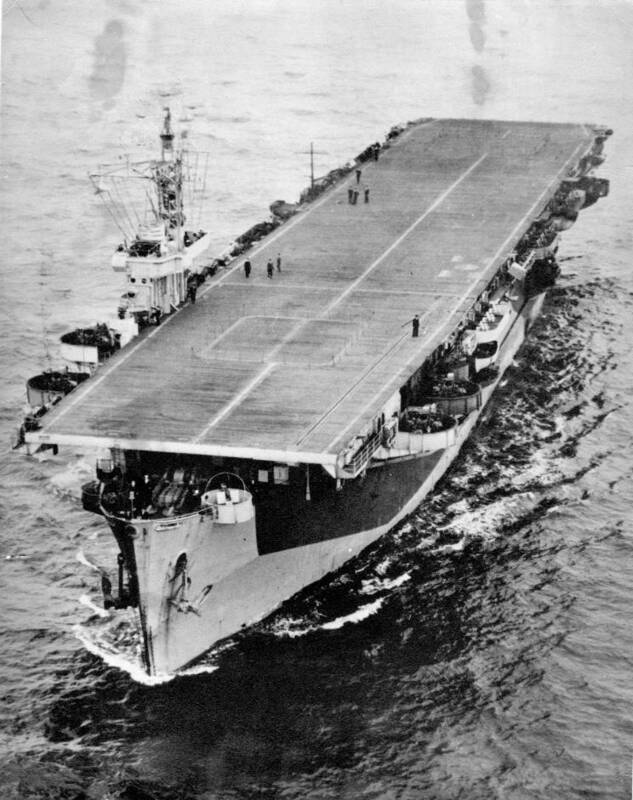 HMS Arbiter, date and location unknown. Courtesy of Philip K. Keating, R.F.A. 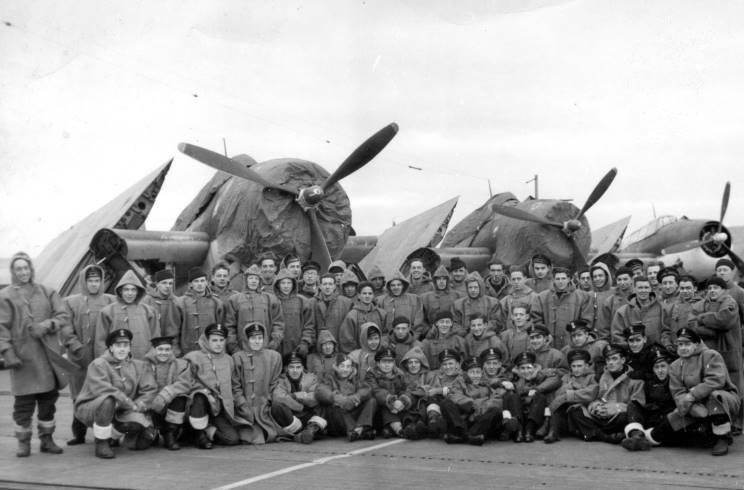 Men thought to be 853 Squadron seen on the flight deck of HMS Arbiter. 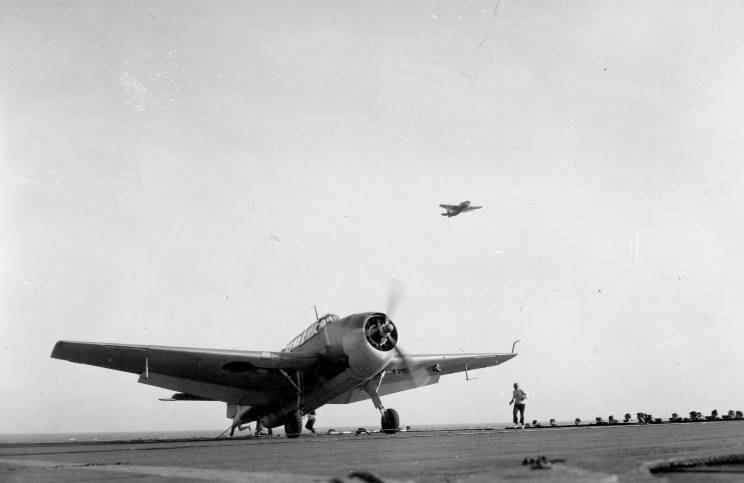 Three Grumman Avengers are seen in the background. 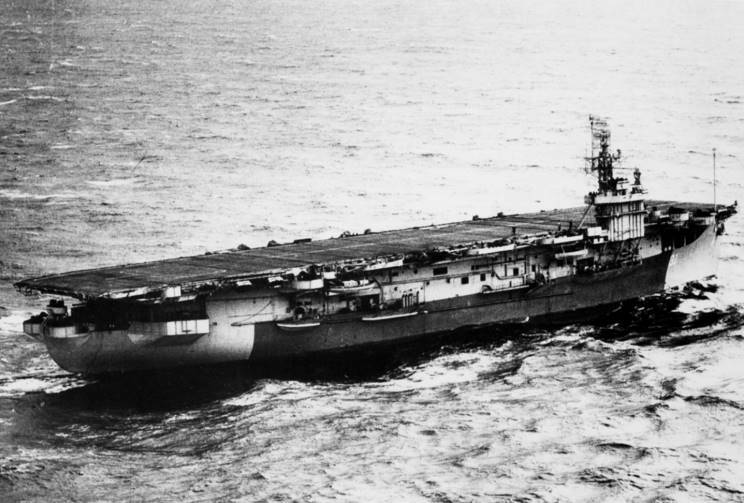 A Grumman Avenger, thought to be from 853 Squadron seen on the flight deck of HMS Arbiter. 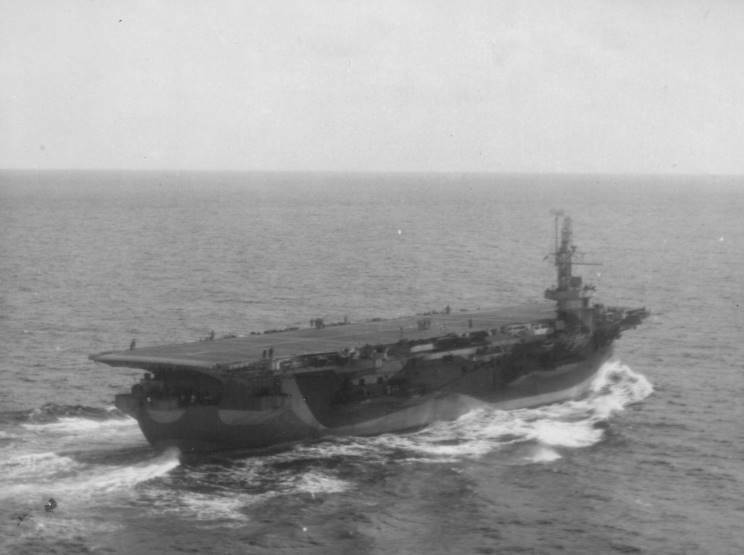 Another Avenger can be seen in the background. 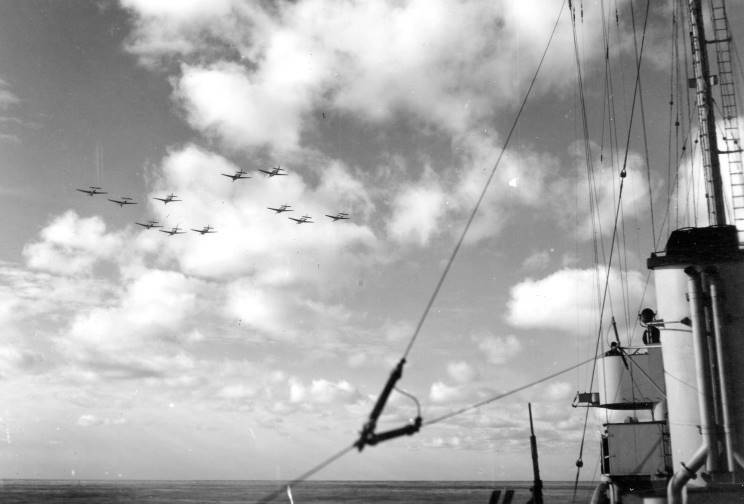 Grumman Avengers thought to be from 853 Squadron seen in the air above HMS Arbiter. 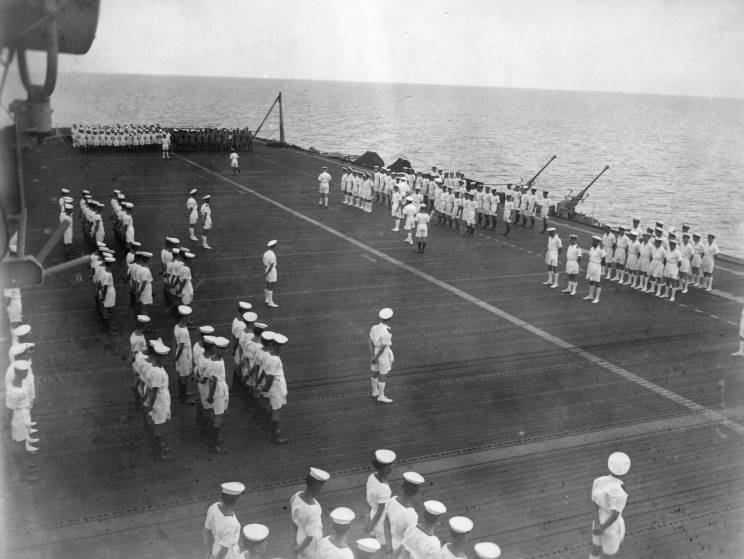 Sunday divisions on the flight deck of HMS Arbiter. 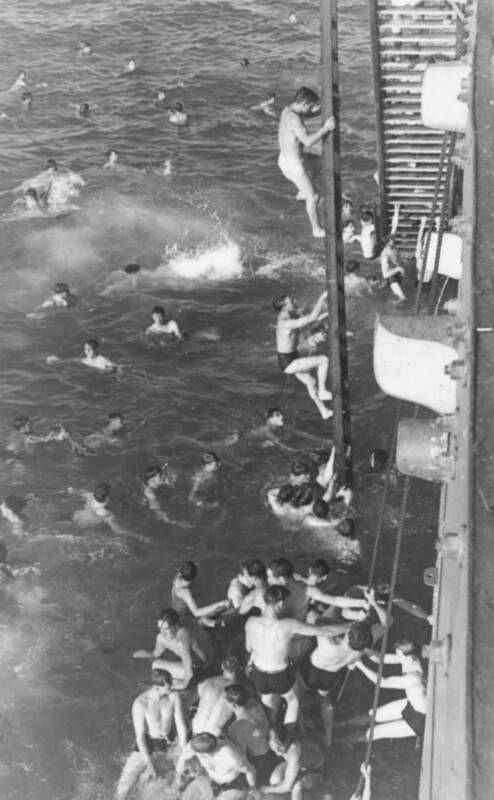 Crewmen having a swim alongside HMS Arbiter. 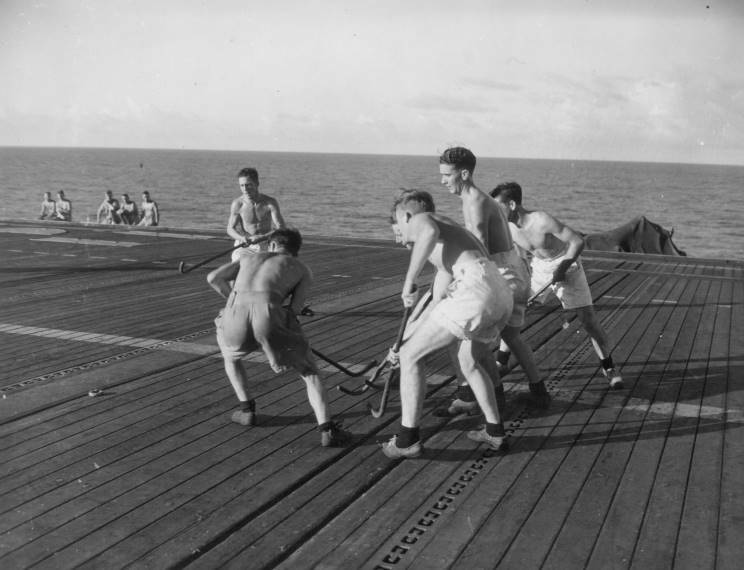 A game of deck hockey aboard HMS Arbiter.